The living hominoid primates are Man, the chimpanzees, the Gorilla, the Orangutan, and the gibbons. The cercopithecoids (Old World monkeys) are the sister group of the hominoids. The composition of the Hominoidea is not in dispute, but a consensus has not yet been reached concerning the phylogenetic branching pattern and the dating of divergence nodes. 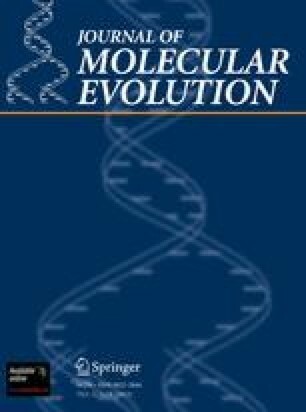 We have compared the single-copy nuclear DNA sequences of the hominoid genera using DNA-DNA hybridization to produce a complete matrix of delta T50H values. The data show that the branching sequence of the lineages, from oldest to most recent, was: Old World monkeys, gibbons, Orangutan, Gorilla, chimpanzees, and Man. The calibration of the delta T50H scale in absolute time needs further refinement, but the ranges of our estimates of the datings of the divergence nodes are: Cercopithecoidea, 27–33 million years ago (MYA); gibbons, 18–22 MYA; Orangutan, 13–16 MYA; Gorilla, 8–10 MYA; and chimpanzees-Man, 6.3–7.7 MYA.